Regardless of the type of job market, your ability to manage and direct your career is an essential skill. Organizations change, so developing your skill set is the best job security you will ever have. First, figure out the intersection of three things: what you have passion for, your skills, and the best environment. Work that you do well but don’t enjoy will cause burn out or dissatisfaction. Working for an organization you don’t believe in or with people you don’t enjoy can be unfulfilling. Work that you are passionate about and lack skill in, will surely be a disaster. When you have a strong offer that incorporates all three things, you will have job security. Start with what you have passion about and make sure you are skillful in that arena. In general, most people are more aware of their weaknesses than their strengths. We tend to take our strengths for granted. Next, ask people you work with– bosses, subordinates and friends–what they see as your gifts. Compile a list and see if the gifts correspond to what you love to do. When we are doing our best work, we cannot not do it – it just comes naturally. Figure out where that skill is most needed. For example, having the ability to look at a business and immediately see where it is at risk is a lot more useful to a venture capital firm than to a conservative, slow moving corporation. Finally, look for environments where you will thrive. The ability to make your offer clear and compelling is the next step. The offer needs to be verbal and in written form. You never know when you will meet someone who can help with your career, so your ability to crystallize what you want into a few sentences can make the difference in whether you get the dream job or not. Having a resume or article that defines your offer and justifies your candidacy for that offer is important. 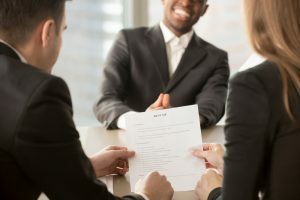 People have little time to review resumes and tease out how what you have done fits their needs, so the more you make it easy for them to see the fit, the greater likelihood you will get the job. Don’t just list what duties you have performed; list the accomplishments. That alone will make your resume stand out by showing the prospective hiring manager whathe/she may get from hiring you. And it shows how you bring value to the organization. 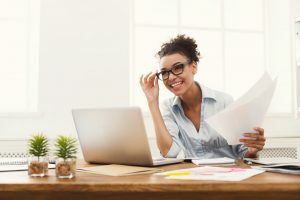 Writing an article on what you do gives further information to help people assess your fit for their job and can showcase your accomplishments in greater depth. Getting your article published can bring prospective employers to you. 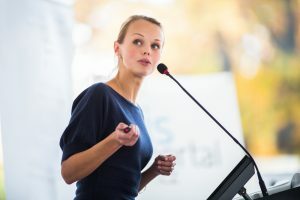 Making presentations at national conferences in your area of expertise can also attract employers. The more visible you are, the greater likelihood people will notice you and want to work with you. It will also put you in a position to network and meet others who can help you in your career search. These are good ideas to follow even if you are happy in your current career. 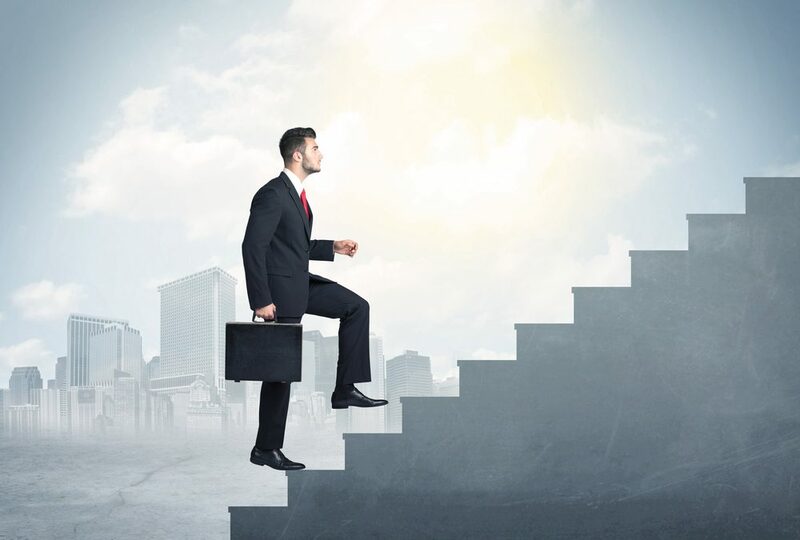 The more you are out in the market, the better prepared you are to assess your satisfaction in your current job and also assess other interesting opportunities. Three useful approaches for developing leads are networking, the Internet and executive recruiters. Networking has always been the best resource for me. I clarify my question or request and ask everyone I meet. You’ll be amazed at how much information you can get if you ask. I also ask if I can use their name when I call the person they refer me to or ask if they will make the referral for me. That increases the likelihood of finding what I’m looking for. I also pinpoint areas where my networking will be most effective. Think about where the people you want to work for or with are likely to be. What kinds of meetings do they attend? What charities do they support? Put yourself in a place where you can meet them. The Internet is another source of information. With a few key words you can find out which companies do what you want to do, which ones are doing well and growing, and what positions they have available. Linked In is a great resource for getting noticed and networking. Try to find someone who is doing what you want to do. Ask for an informational interview. Learn as much as you can and ask how he/she found the current job and recommendations for your search. I have worked with executive recruiters both in being placed and in developing training for them. I learned that when they have a client who needs your skills, you are their new best friend. If they have nothing in your area, they won’t waste their time talking to you. Most of the big firms have databases, so send in your resume so they can find you when they have a need for your skill set. When recruiters call, always listen and, if possible, help them with the search if you can. They remember the favor and are more likely to help you if you need them in the future. And, the job they are looking to fill may be something you hadn’t thought of but might be a great next step. It rarely hurts to listen. Early in my career, I learned that no one would look out for my career as well as I would. Organizations may have your interests in mind, but only if they parallel their needs. It is important for you to take stock of what your career goals are and to be proactive in taking steps to further your career. A career coach can help you clarify short and long-term goals and determine a path that meets your needs. Investing the time and money to have support for your career is an important investment. There are many coaches – look for one who understands your goals and can ask tough questions to help you reflect on what you want and need. You will want to assess your skills relative to others in the market. Are you learning and growing your expertise? Are you staying on top of business and technical issues through reading, conferences, and training? Have you worked yourself into a box at your current company? Do you want to move up, down, laterally or out? Have your interpersonal skills kept pace with your technical skills. In the book, Emotional Intelligence at Work, author Daniel Goleman notes that of the competencies that differentiate exceptional performers from good ones, 2/3 are emotional intelligence competencies. Emotional intelligence focuses on self-awareness, self-management, motivation, empathy, and social skills. There are two parts to changing career direction – one is to identify what you want to do and the second is to map a path to get there. The first is more difficult than the second. From coaching thousands of people, I find that if people spend enough time getting in touch with what they care about they will find the direction they want to pursue. Sometimes in the grind of work or living out the expectations of others, we lose sight of what we really care about. But, we don’t lose it completely. The more we listen to our inner voice, the easier it will be to find what we want to do. Once you get an inkling of what you want to do, the next step is to gather more data about how to find work in that area. For some, creating a visual mind map with branches defining possible options is helpful. For others, creating a plan with specific steps works best. 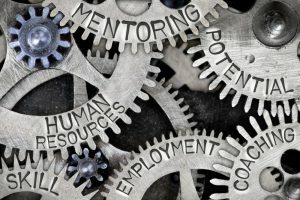 As you envision all the ways to use those skills, you talk to people in different fields where they are used and systematically clarify where you have the most interest. Offering to work pro-bono in a new field can be a low risk way to try out different jobs. Or working with others on charity projects can help you develop your skill set and explore new areas. Perhaps your ideal work is for yourself. If companies aren’t hiring, put together your offer and go out as a consultant. You could create your business plan for your idea and get angel investors. Think broadly about what is possible. If your preferred industry is in the doldrums, consider using this time to learn something new to enhance your career prospects or to use the time to take care of yourself. Put yourself on a sabbatical and, rather than worry, put your energy toward something productive. You might want to exercise more, get your finances in order, clean closets and do some of the tasks you have wanted to do and didn’t have time or energy for when you were working. When the job market turns around you’ll be physically and emotionally in a better place to jump back in. This is a time to believe in yourself and trust that you are taking the right steps to find a satisfying job. Each time I was downsized out, I used the time to rethink my priorities and get closer to what I really wanted to do. As a result, I have a satisfying and nourishing career that continues to evolve as I learn and grow. Tom is a partner is a consulting firm. He is passionate about helping entrepreneurs succeed at business. His colleagues say that he is the best relationship builder they have ever met. His clients say he understands their business and always offers helpful suggestions and referrals – even when he doesn’t get any work from them for his ideas.He brings in enough business to support twelve other partners and rarely does the work himself. His firm wanted to move him into managing other partners as his next career move. While working with a coach, Tom realized that he would hate the administrative parts of the job and have little time to do what he loved best – meet people and help them with their business problems. He recognized that his next move should keep him in the relationship building part of the job and increase his ability to sell business. Tom asked for a national sales job where he builds relationships on a larger scale and has increased his firm’s visibility in serving entrepreneurial organizations. And, he took workshops to increase his understanding of the needs of entrepreneurs. These small companies today will be the ‘power’ companies of tomorrow and will stay with Tom’s firm as they grow. Tom is a partner is a consulting firm. He is passionate about helping entrepreneurs succeed at business. His colleagues say that he is the best relationship builder they have ever met. 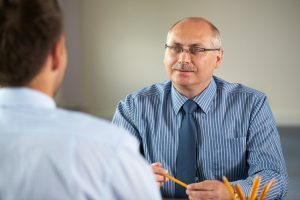 His clients say he understands their business and always offers helpful suggestions and referrals – even when he doesn’t get any work from them for his ideas. He brings in enough business to support twelve other partners and rarely does the work himself. His firm wanted to move him into managing other partners as his next career move. While working with a coach, Tom realized that he would hate the administrative parts of the job and have little time to do what he loved best – meet people and help them with their business problems. He recognized that his next move should keep him in the relationship building part of the job and increase his ability to sell the business. Tom asked for a national sales job where he builds relationships on a larger scale and has increased his firm’s visibility in serving entrepreneurial organizations. And, he took workshops to increase his understanding of the needs of entrepreneurs. These small companies today will be the ‘power’ companies of tomorrow and will stay with Tom’s firm as they grow. For example, Caryn had spent her first career in the information technology (IT) field as a systems designer and programmer. She was good at the skills, especially in helping clients clarify their needs and in helping people implement the new systems. As time went on, she became bored with the technology while enjoying the work of translating requirements into products and supporting people in the change process. She went to graduate school and got an MBA, focusing on organization development. Her systems approach to IT worked well in organizational design. And, working more intensively with people instead of technology, was extremely satisfying.